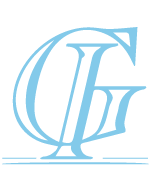 GI Gambarelli was founded in 1992. It is our love of beauty and passion for elegance that fuels our on-going desire to bring a unique touch of genuine class to the world around us…. “Our home is our castle; it has a fundamental role to play in our lives”: this sums up the concept that drove Ilario Gambarelli, the founder of GI Gambarelli S.r.l., to turn the domestic electrical system into a proper furnishing element. Painstaking research into the tiniest of Italian design details, together with outstanding product quality and a sound team of trained individuals, has taken the company right to the top of the market in its sector. Today, as ever, GI Gambarelli is synonymous with leading-edge products, reaping success both in Italy and abroad, where we are able to boast an impressive customer portfolio; the company consistently pursues and heightens its efforts to shape porcelain, a material that retains its age-old allure, while keeping a close eye on the continual evolution of tastes and styles.